🌱Vegan Breakfast 🌞 Today I had Waffles!!! !I toasted Natures Path Organic ➡️ Pumpkin Spice Quinoa,Amarath&Flax 🌱Waffles🙌🏼 with Target Frozen fruit🍓🍒 and Beefreehonee 🤗🙌🏼 It was such an amazing combination!!! I definitely suggest you try it!!! I bought the waffles and frozen fruit at my local Super Target and I purchased my favorite Bee-less🐝 Honee from Sprouts! 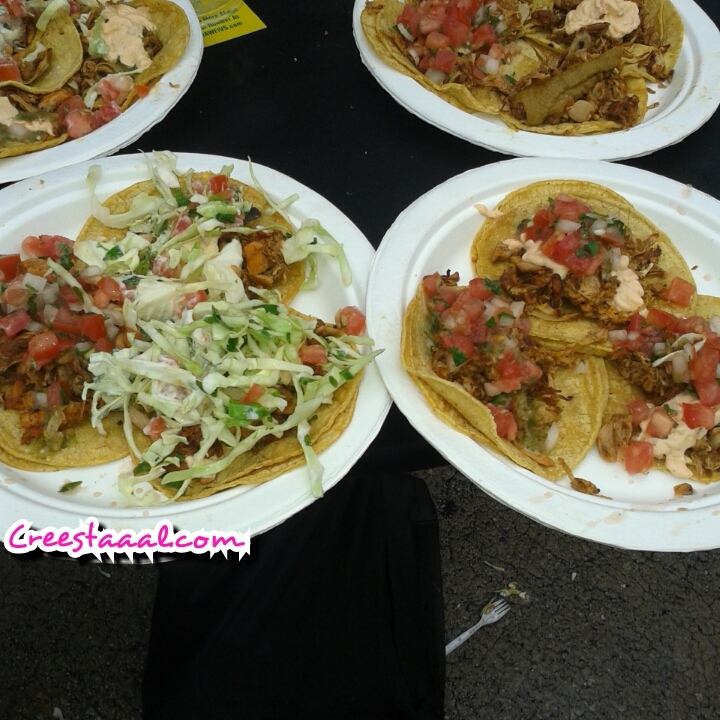 ..”A Bite-Size Vegan Journey for Your Taste Buds”..
Vegan Street Fair is an annual vegan food celebration where local vegan and vegan-friendly restaurants and vendors come together to serve you bite-size portions of vegan eats all in one place. The best part? All bite-size portions are $3 max and entrance is FREE. At VSF, you get to nosh on as many local eats as your heart desires (and your belly can hold) for street fair prices. So instead of buying a $10 plate of vegan nachos and sitting out the rest of the amazing food experiences, you get bites from one vendor, move on to the next, and enjoy all of your city’s BEST vegan eats without getting full for a fraction of the price of a regular meal. VSF is the true vegan foodie dream- EAT ALL THE VEGAN THINGS. 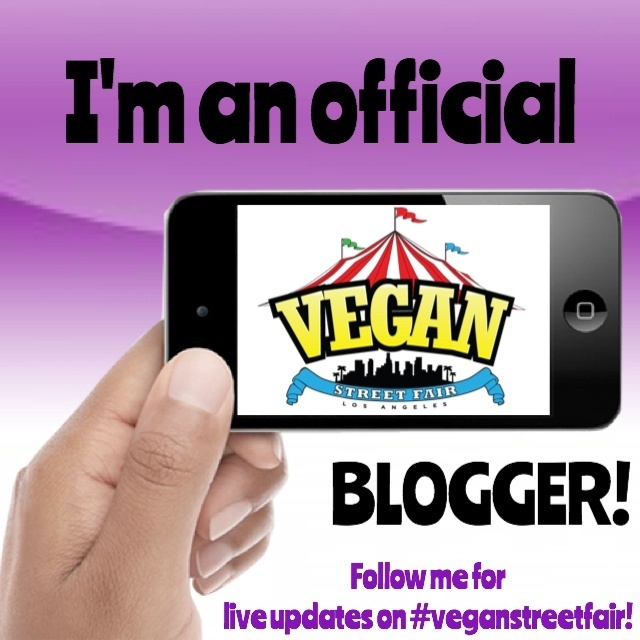 I was invited to officially be a Vegan blogger for Vegan street fair los Angeles 2015 first annual event! My badge is soo awesome!!! This was my Makeup of the day look for Vegan street fair! Since the company’s inception as a family business in 1975, AFC believes the values of a family are what make a solid foundation; that living a healthy lifestyle starts off with what you put in your body; and how generational changes may arise but to never forget to reflect on classic traditions. By promoting the health benefits of soy through product innovation and sponsoring community events around Southern California, the company strives to educate consumers and pass on the vision of living a healthy lifestyle to the future generations to come.AFC uses only the freshest and highest quality ingredients in its products and sources non-genetically modified organisms (NON-GMO) soybeans grown in the United States. In addition, the organic soy products produced use only Certified-Organic soybeans. 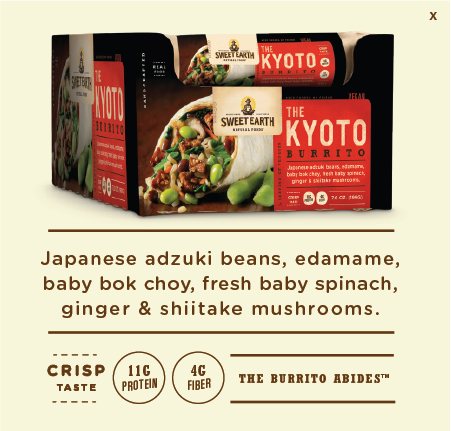 Furthermore, all of the soy products manufactured have no additives or preservatives. AFC has been in the food industry for nearly forty years and is well known in the Asian-American community, but it is the company’s goal to introduce the goodness of soy to all other communities nationwide. Pudddinggggggg! 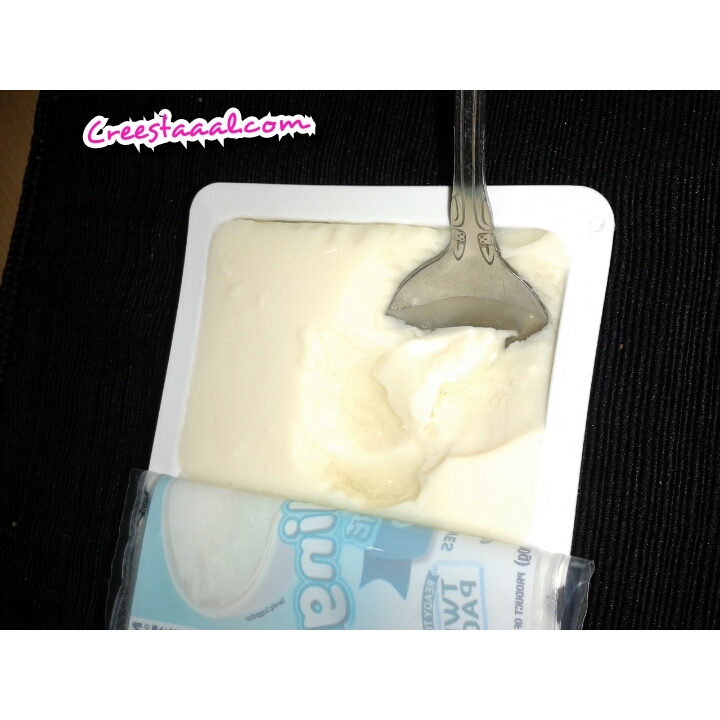 I loveeee pudding soooo much! 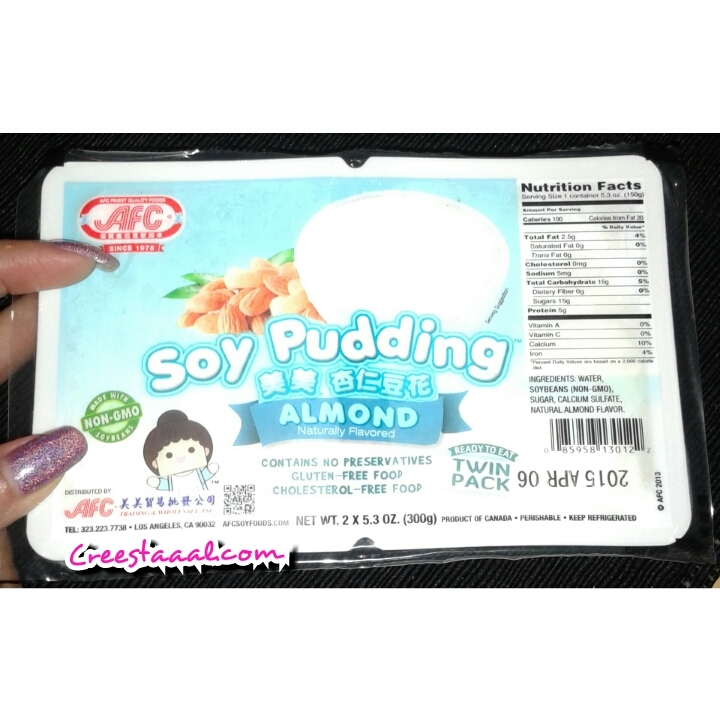 This soy pudding was almond soy pudding and it was sooo good! When all six of Azla’s children transitioned to a vegetarian lifestyle over a decade ago-she began modifying traditional recipes to accomodate their growing health consciousness-without sacrificing flavor and heartiness. Azla’s Sunday dinners became a focal point for friends and extended family, and she dreamed of one day extending her love for cooking beyond her family’s dinner table. In the summer of 2013, head chef Azla joined forces with her youngest daughter, Nesanet to open the first Ethiopian restaurant in South Los Angeles. Azla’s culinary expertise and commitment to traditional wisdom is complemented by Nesanet’s extensive studies and work in the education, wellness, and marketing industries. Nesanet’s training in Biological Sciences at Stanford University and UCLA, her studies at the Institute for Integrative Nutrition, and yoga instructor certification greatly inform ingredient choices and food preparation techniques at Azla. Azla vegan offers inventive interpretations of traditional Ethiopian fare, drawing upon the best of California vegan cuisine with an emphasis on local, organic produce. In addition to serving delicious, nutrient-dense food to Angelenos, Azla’s mission is to inspire a return to the ceremonious nature of breaking bread with friends and family, while offering convenience and easy access. Unfortunately I wasn’t able to try this bomb Ethiopian vegan food due to the lines were just to huge. Mini Ethiopian burritos made with gluten free Ethiopian flatbread filled with delicious stews and greens. 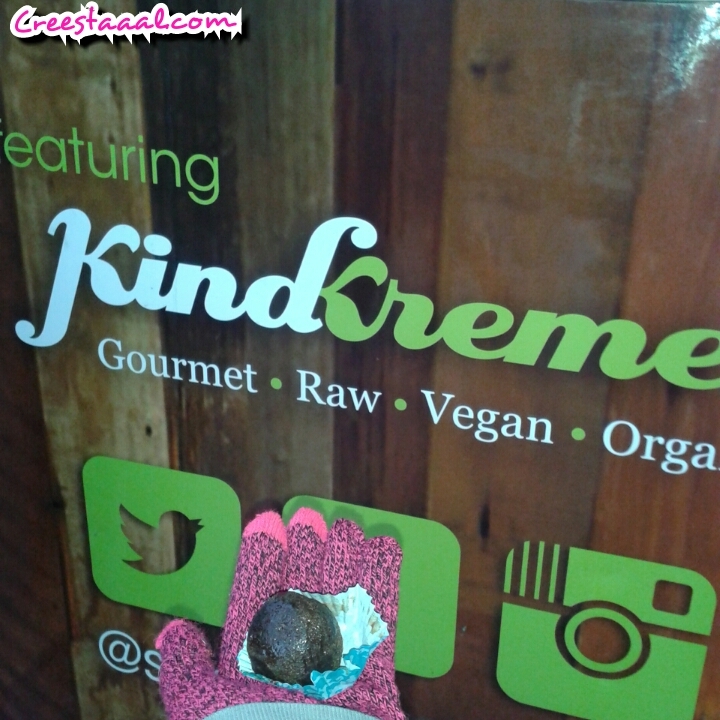 Vegan chocolate truffles made with our signature chocolate berbere ganache. BEETxBEET is a vegan focused graphic t-shirt line here to save the planet one vegan at a time. Spreading healthy propaganda, our commitment is to bring awareness to the general public about conscious eating and the environmental issues surrounding food. 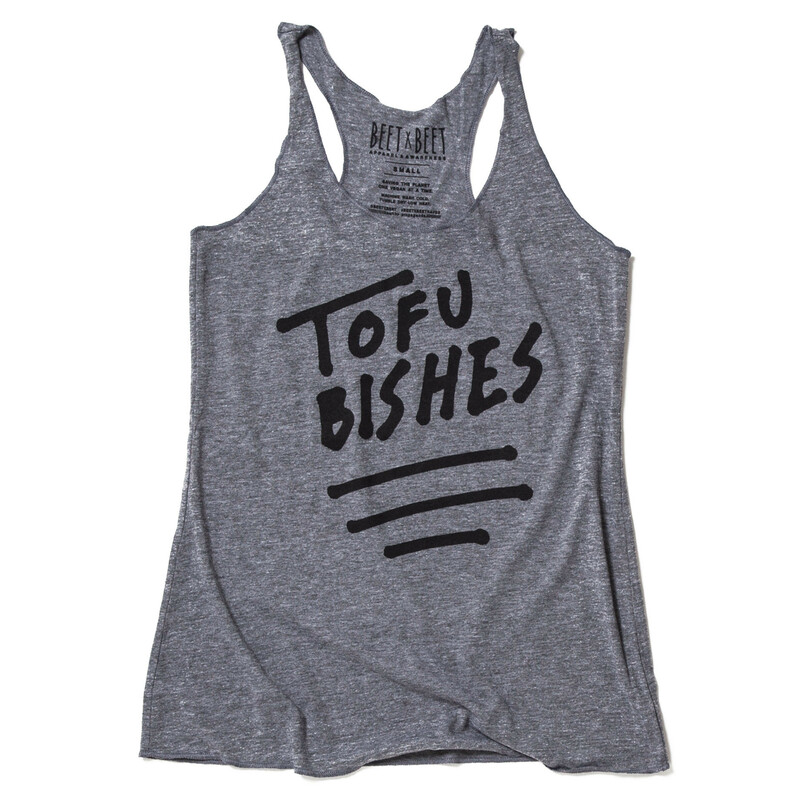 We give the vegan community a voice through cool fashionable t-shirts. Who knew vegans didn’t have to be so serious? Creator Jacky Wasserman is a graphic designer, vegan and DJ living in Los Angeles. The meaning behind the company name is that we can all help make the world a better place one healthy choice at a time. Since music and food are such a huge part of Jacky’s life, she came up with a name that had sort of a play on words to relate to both passions in her life. 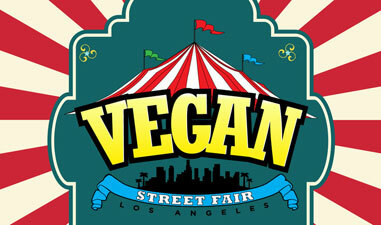 Thank You VSF!Wow, what an amazing turn out for Vegan Street Fair! I was shocked at how much support the vegan community of LA showed even during the cold rainy weather. BEETxBEET is a vegan focused graphic t-shirt line here to save the planet one vegan at a time. Spreading healthy propaganda, our commitment is to bring awareness to the general public about conscious eating and the environmental issues surrounding food. Save an animal eat a plant! At the Beet X Beet Apparel booth! After 20+ years of studying, sampling, and perfecting my gumbo recipes, I now share my gumbo with others through my company, Best Gumbo In The Hood. My Vegan Gumbo debuted in July 2014 at the First Annual Vegan Faire in Anaheim. Downtown Santa Ana (DTSA) Farmers’ Market vegan and non-vegan patrons have sampled and purchased the Vegan Gumbo (considered the “New Tradition”), which is made of traditional flavorful roux and does not contain any animal products. My gumbo is available for purchase. Unfortunately the lines were too enormous! Cashew-based cheese with gluten free pretzel crackers. There was two lines and it started raining! I definitely still would love to try this cashew cheese! 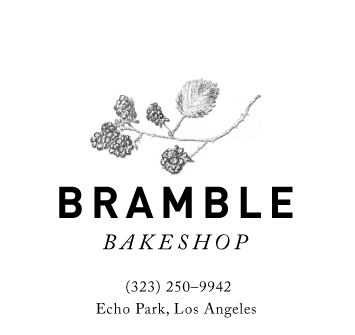 Bramble Bakeshop is an online vegan bakery specializing in custom cakes and small sweets in Los Angeles. We provide a sustainable yet delicious option with an emphasis on unorthodox flavor combinations and a unique interpretation of the classics. Our treats are made with certified organic flour and sugar and we utilize local produce and spices whenever possible. 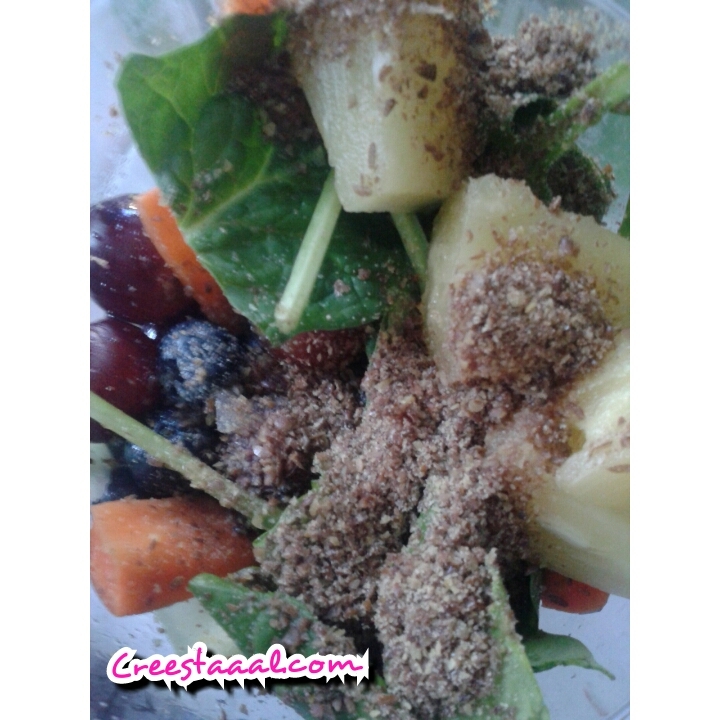 Everything is made from scratch and devoid of highly processed ingredients. We strive to provide every birthday with a cake, every holiday with a treat, every wedding with a centerpiece, and everyone with a scrumptious, guilt-free option.Bramble was founded by Miel Bredouw. She began her professional career at 13 with her own specialty dessert company. She had her first restaurant job by 15, and continued her working education through the next nine years, including time at the acclaimed Natural Gourmet Institute in vegan pastry. She was most recently a sous chef at Mohawk Bend. 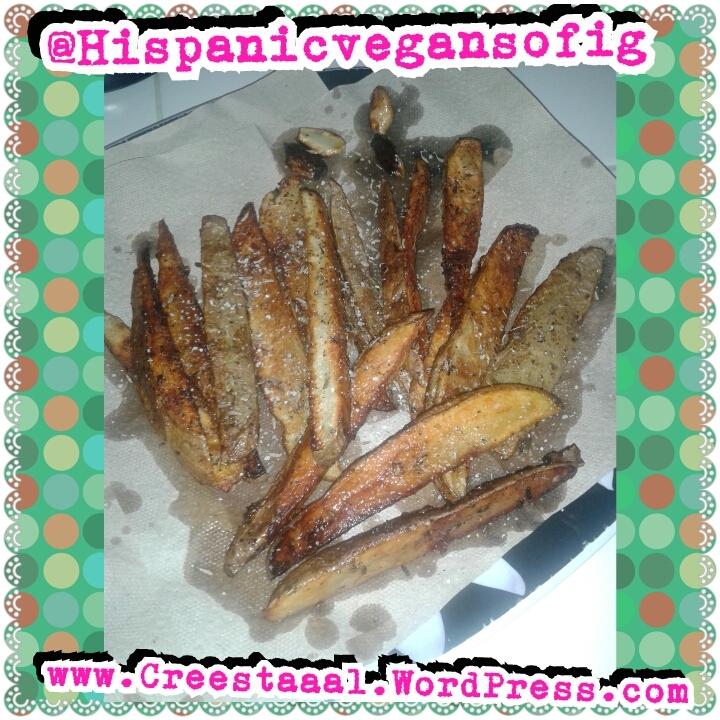 Miel is a lifelong vegetarian and has been vegan for seven years. Originally from Orcas Island WA, she now resides in Echo Park with her dog, Roux. Bramble Bakeshop is an online vegan bakery specializing in custom cakes and unique sweets. 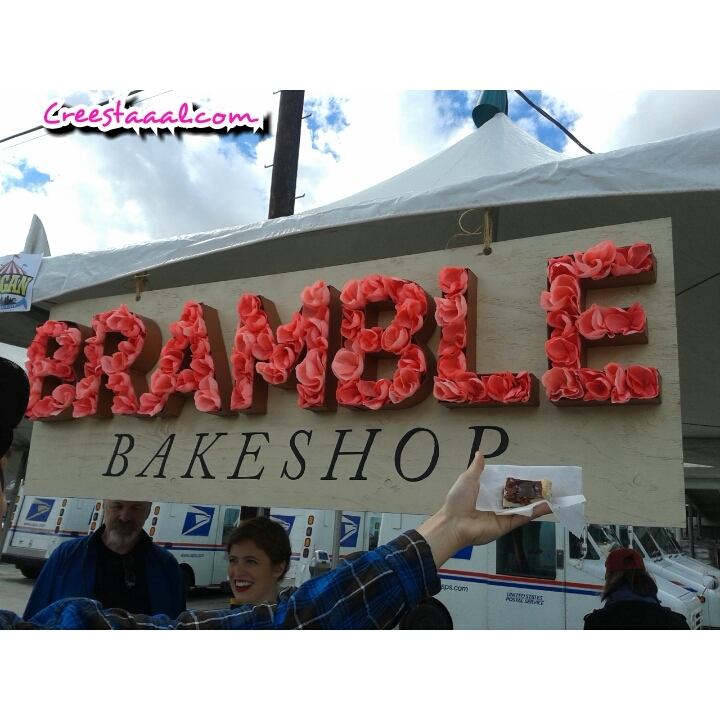 In front of the Bramble Bakeshop booth when the weather was super hot! This is a churro cheesecake! Omfg this is seriously the best way to have a churro! Like a cheesecake! I want more! Brittany went vegan when she was 17 years old. There were no restaurants in her city that she could eat at, so she had to make all of her own food. It started off rocky, eating a lot of french fries and burritos but eventually turned things around and took a healthier approach to her meals. She would later become a bartender and bring her own lunch to work as she could not eat anything at most of the places she was employed. Customers would ask questions about the kind of food she was eating and she was more than happy to share with them. The customers would then ask her to make food for them all the time and although she enjoyed feeding them, it was breaking the bank so she had to start charging them. This is when she decided she wanted to feed people on a larger scale, introducing people to a healthy vegan lifestyle and to start catering. Since the business started in August of 2014, it has been growing substantially; catering business meetings, parties, showers, weddings, and participating in vegan fairs! Broke Hungry Vegan is making their public debut at Vegan Street Fair with some amazing food to shove into that beautiful face of yours! Unfortunately lines were too big but would love to check out Broke Hungry Vegan. I completely missed this Vegan gum! I couldn’t find it with all the lines intermixing. Vegan comfort food, minus the meat: fried chicken, buffalo wings, potato salad, coleslaw, Hoppin’ John, and more! Colbaaar was bummed about this line we waited 30 mins and it hailed! Would love to try them! Omfg the best donuts I’ve ever tried! I need an entire box for myself! 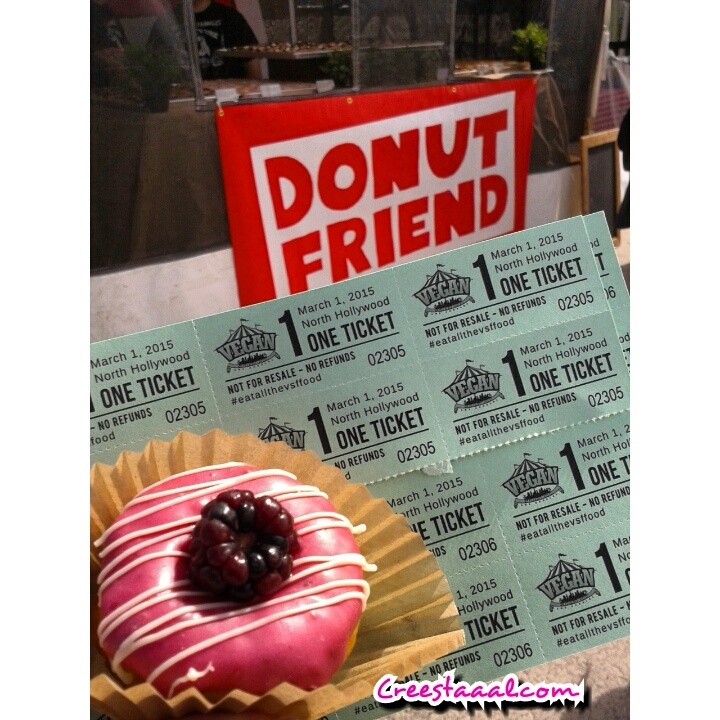 Note: Donut Friend has Vegan friendly donuts the ones with the V are Vegan. Doomie’s had fried oreo’s and they absolutely bomb! 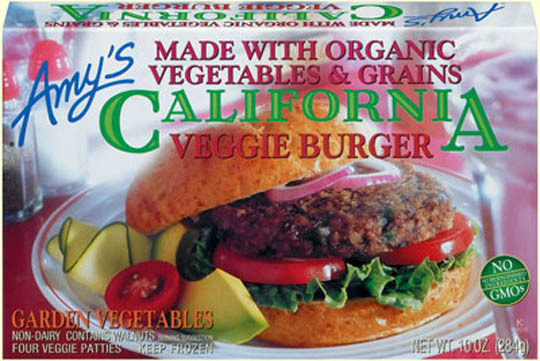 Follow Your Heart® Market & Cafe has been committed to providing delicious vegan natural foods since 1970. We started out as a seven-seat soup and sandwich counter in Canoga Park and now, Follow Your Heart® products are available internationally. They had new cheese! 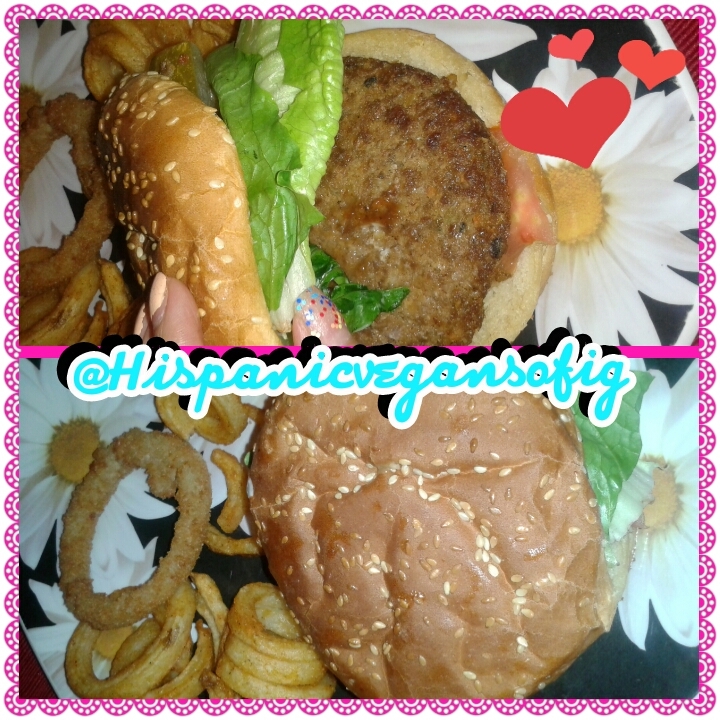 Omfg it was delicious! 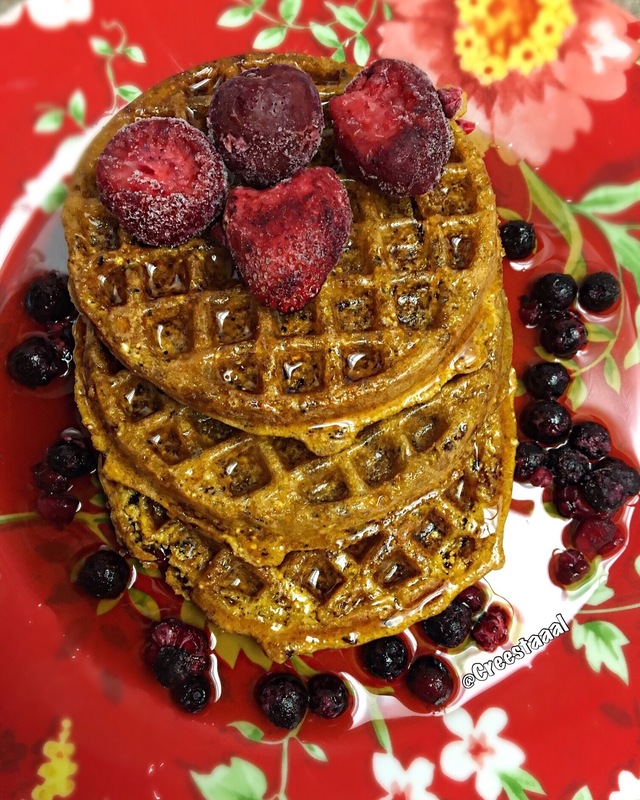 Introducing One of A Kind, Savory Lentil Waffles- Waffle for any time of the day, enjoy it with your favorite topping or sauce, eg, cilantro sauce(chutney), marinara sauce, vegan chilli, grilled vegetables etc.We have 4 different flavors- spinach lentil waffle, jalapeno garlic lentil waffle, cajun lentil waffle and savory lentil waffle.Gluten free, GMO free ingredients, high in protein and good source of fiber. 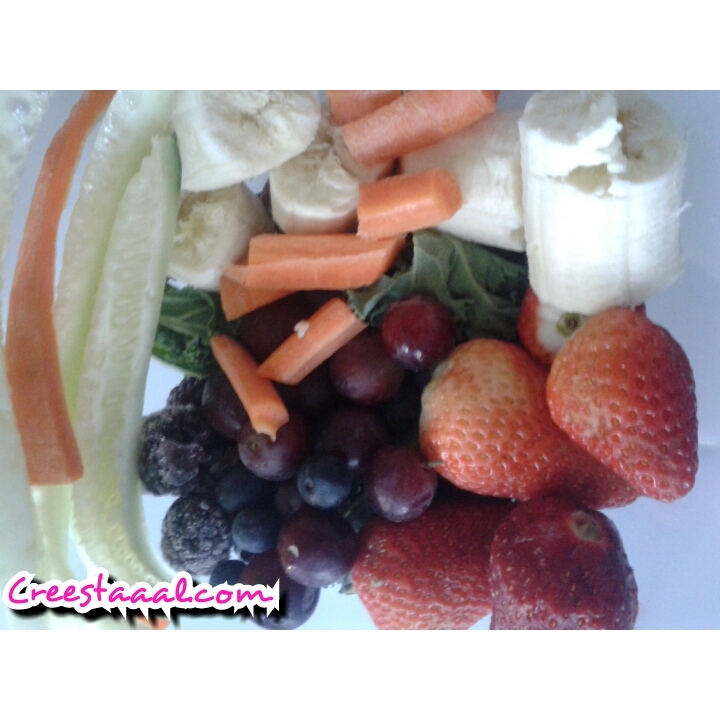 A delicious wholesome meal for any time of the day. mmed that I missed this!! Soo bummed! At Hummus Republic our leaders strive to provide nothing short of the best for our customers; One republic united with one goal: to serve easy, fresh, healthy and delicious food to all. Vegan, organic, gluten-free, hand-made Sudanese style falafels. 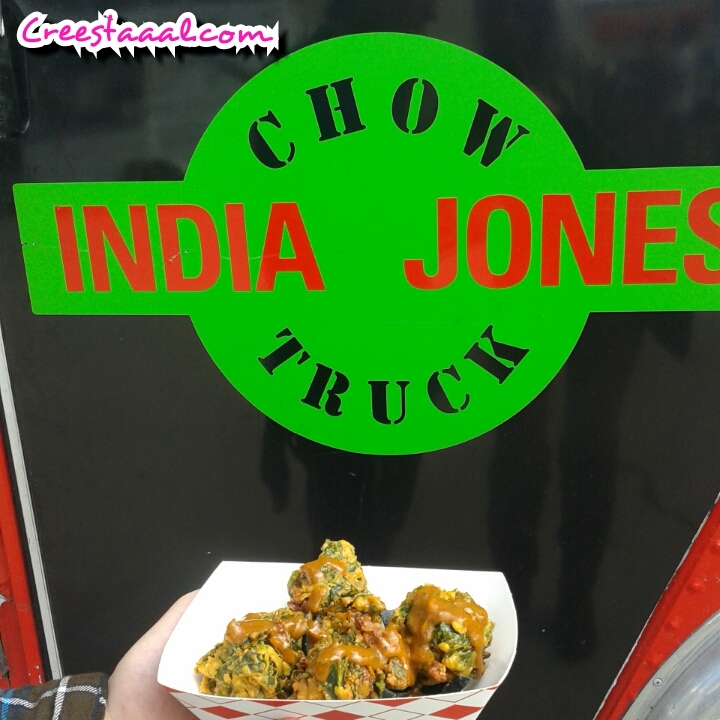 urmet Food Truck serving Street foods and Curries from India. -Spicy Korean BBQ Jackfruit tacos topped w/ a sesame cabbage slaw green onions, cilantro & Creamy Sesame Sriracha sauce served on a toasty corn tortilla from Joni Marie Newman's book Fusion Food in the Vegan Kitchen.-Flaky fish-y tacos made w/ seaweed infused rice, topped with radish relish, dill-y tartar sauce, & pepita pignola sprinkles served up on a toasty corn tortilla from Celine Steen & Joni Marie Newman's upcoming book The Complete Guide to 'Even More' Vegan Food Substitutions. 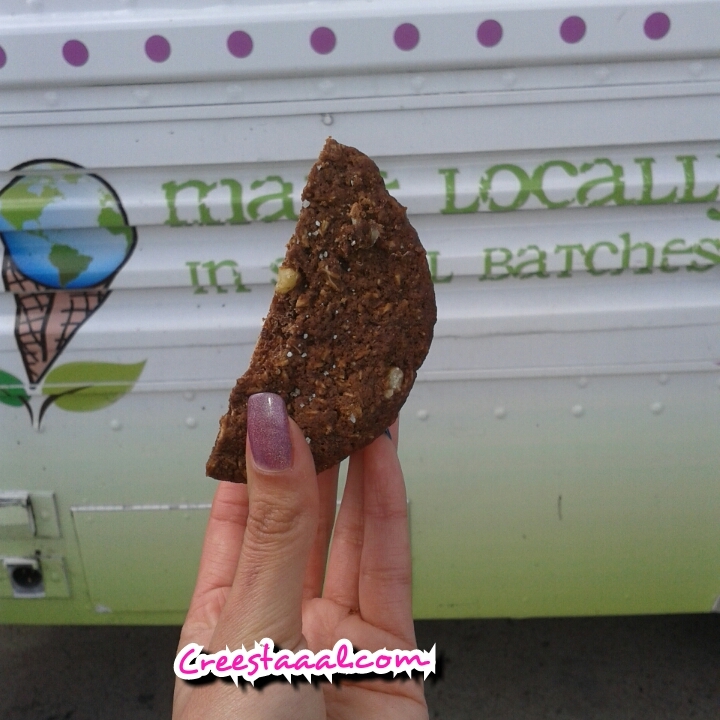 Hand-crafted organic, vegan baked goods! We are a local baking company offering top quality, gourmet desserts using only the finest all natural and organic ingredients with no hydrogenation, no refined sugars, and no bleached flours. All of our delectable treats are made by hand in small batches. We can accommodate special dietary needs.All of Our Delectable Creations Contain Organic, Unbleached, Unrefined and Non-Hydrogenated Ingredients, with No Cholesterol! So Treat yourself sweet, enjoy something Luscious today! Main Squeeze sells a variety of fusion lemonades shaken up cocktail style, or blended thick for an extra refreshing texture. Every glass is made to order, and never prepped. Lemons are freshly squeezed so you know you're getting the real thing. After all ingredients are added, the product is shaken, not stirred, to ensure the beverage is chilled and that all ingredients are thoroughly mixed with the fresh lemon juice. Om-Brosia offers vegan catering, weekly prepared meals and education/coaching that is divinely fresh and culturally delicious. We are currently serving the LA and DC Metro Areas. Stop by for recipes and a mouth full of om-brosia! value our health, the health of our patrons, and the planet! We take our values into consideration with each dish we create, prepare, and serve. 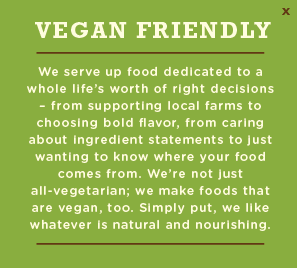 With excellent quality ingredients and a complete vegan environment, we believe we can serve food that is good for your health and has great taste.We are focused on creating an enjoyable culinary experience that will be benefit your health, the world’s animals, and our environment. e Veg World Grilled Teriyaki KabobsFresh Spring Rolls with Peanut SauceAssorted Vegan Desserts. e Philly cheese steak! Bombness! 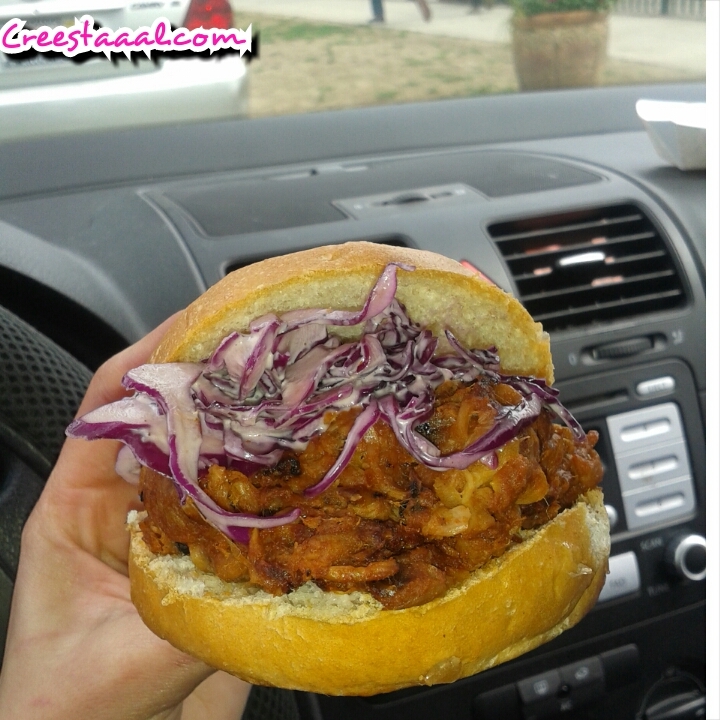 ulled pork" burger< strong>What was served PUERCO SANDWICH-Vegan Pulled Pork CASTRO BURGER-Vegan Spicy Black Bean Burger. 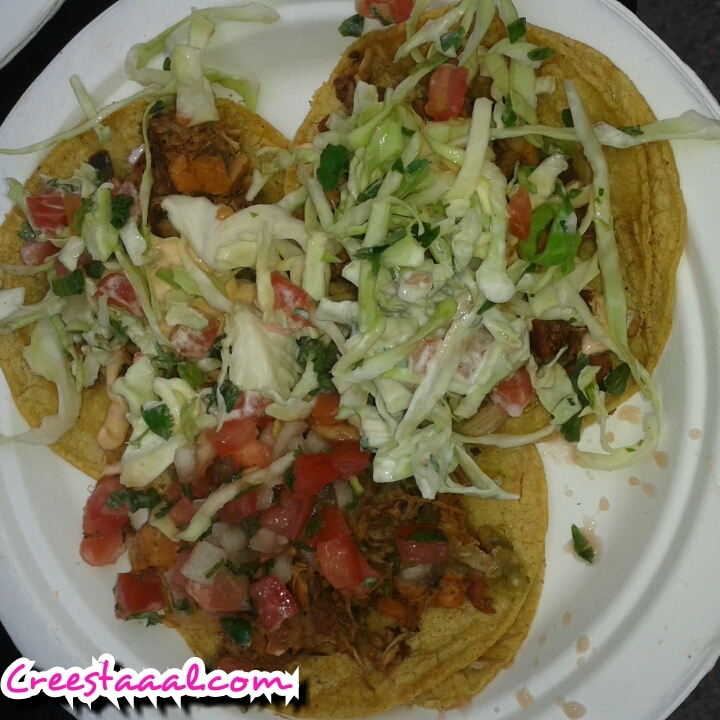 licious carnitas style Jackfruit tacos. 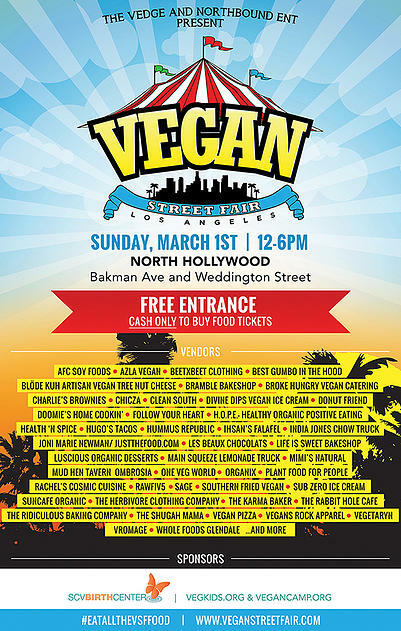 Rachel's Cosmic Cuisine is excited to attend Vegan Street Fair to share our delicious vegan pizza bagels with you! At Rachel's Cosmic Cuisine, our products are always 100% vegan, made with nutritious ingredients, and show compassion for animals and care for our environment. ctually got to taste these and they were soft and very yummy! 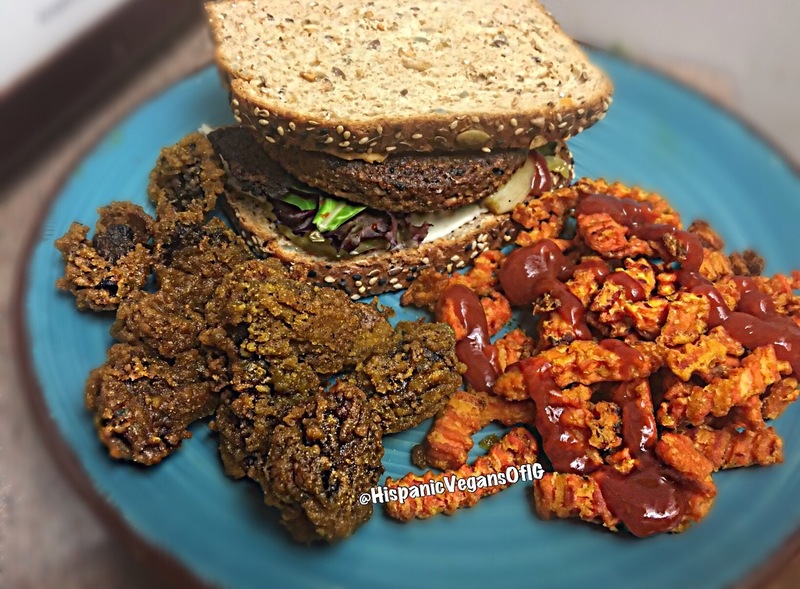 Southern Comfort and Festival Foods Loved by Vegans and their Carnivore Friends! Sub Zero vegan frozen desserts and ice beverages are made fresh, fresh, fresh and frozen right before your eyes using liquid nitrogen (essentially liquid air). 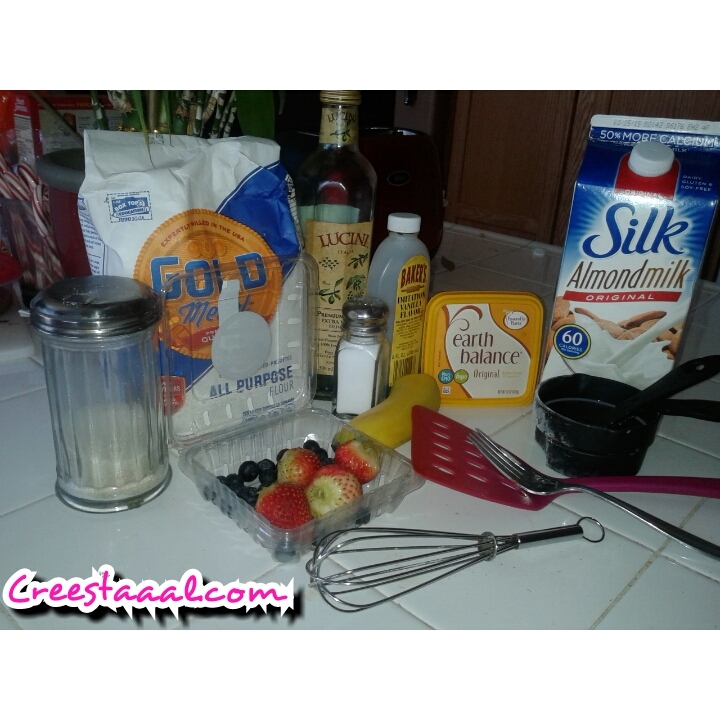 Dessert flavor combinations are endless using almond, soy, rice, or coconut milk and a host of mixin choices! Come and be entertained while your vegan ice cream dessert is prepared for you on-the-spot. SunCafe is a celebration of food prepared in their natural state. Our chefs start from scratch with freshest organic ingredients to create rustic World Cuisine for the liveliest, most flavorful food you may ever taste. Herbivore has been making compassionate people look good since 2002. We design and produce tees, hoodies and more for discriminating plant eaters. Always sweatshop free, always good looking, never not awesome. The Best Vegan and Gluten-Free Desserts You Have Ever Had. Our bakery is dedicated Vegan and Gluten-Free and Organic. "Karma Baker makes Vegan fun!" 2 item: Vegan Shepherd's Bites Quinoa Citrus Salad with Cheshire Kraut & Curry (v) Chick'n Salad. oveed! 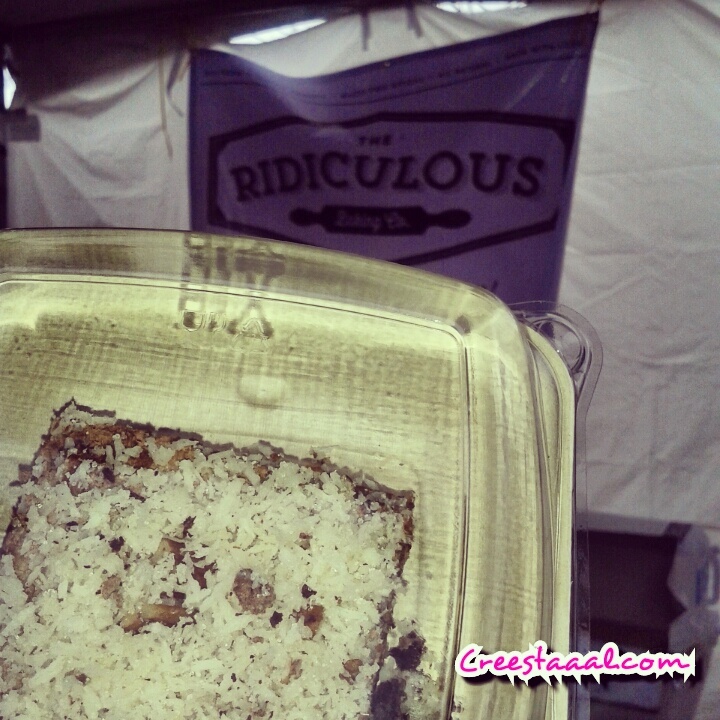 The German chocolate cake! I make vegan, gluten free, and soy free cookies. Vegans Rock Apparel offers a selection of high quality vegan themed clothing and apparel. A portion of all sales go support Rocky Ridge Rescue. Create aWEARness by getting yourself one of Vegetaryn's stylish shirts & eco-friendly reusable tote bags! st but not least Whole Foods Market a company that employs many vegans and carries soooo many vegan products in each of it's stores. 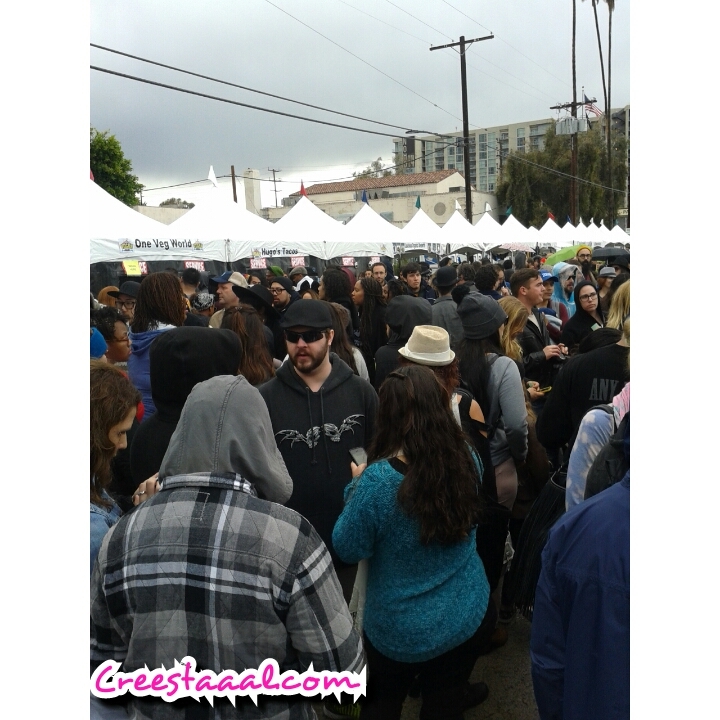 ope next years Vegan Street Fair venue will be alot bigger! 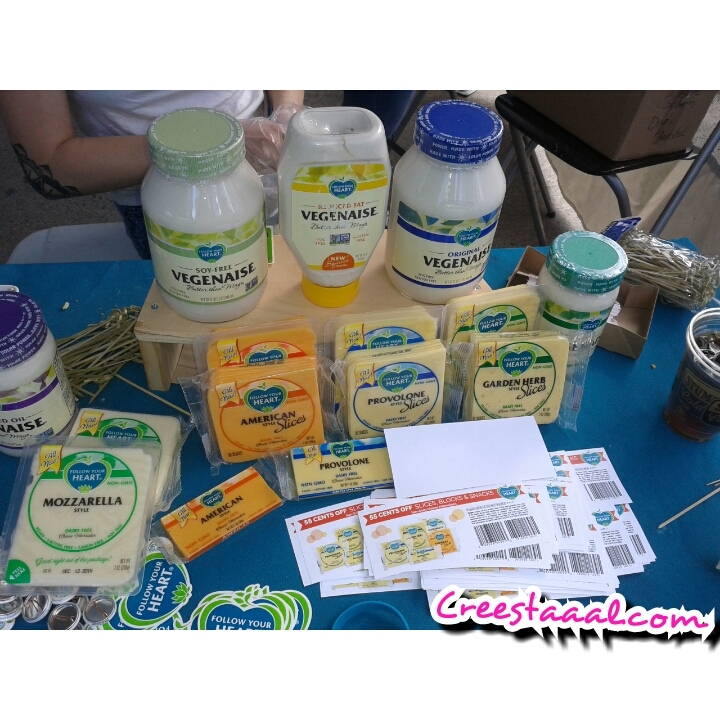 It was amazing seeing sooo vegans! 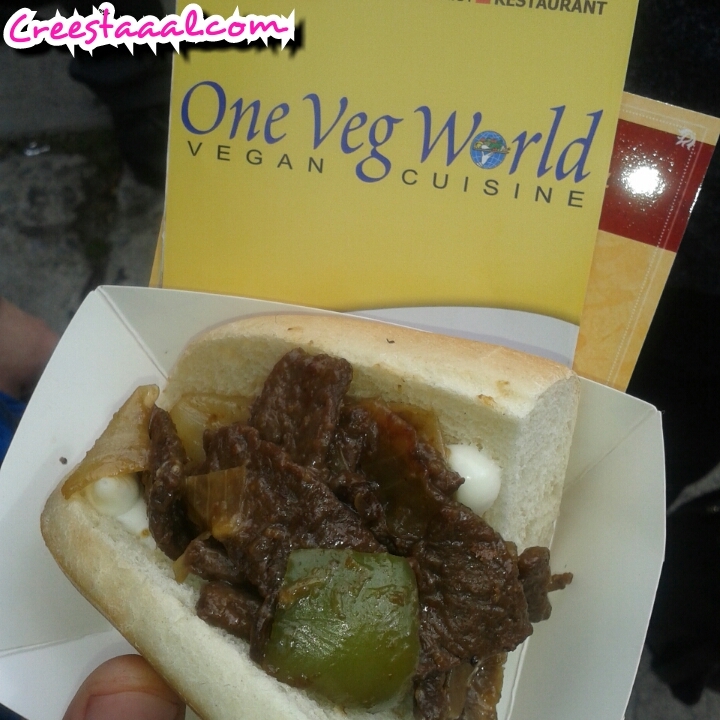 te: Due to the massive lines and weather I unfortunately wasn't able to check out every vegan and Cruelty-Free booth! I'm soooo sorry!. 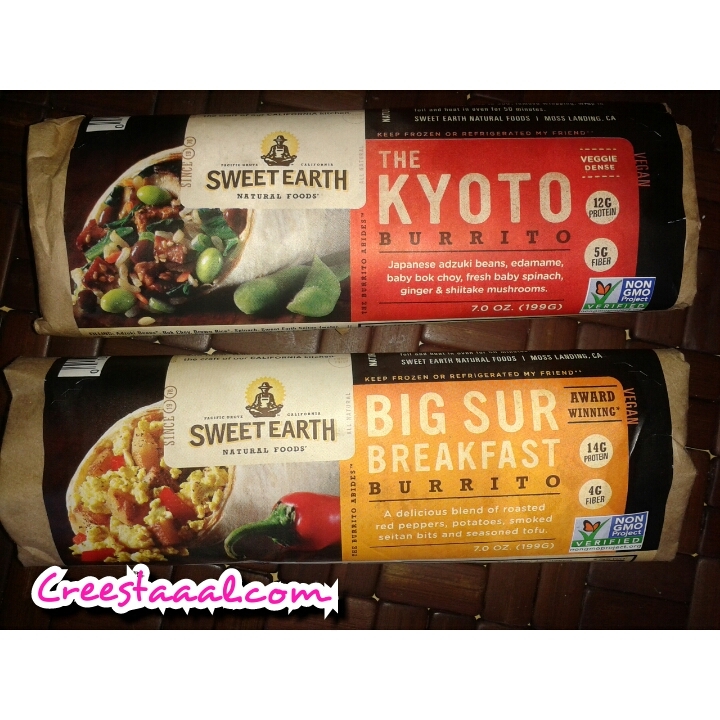 I’m in love with all the Vegan friendly products that Sweet Earth Foods has made for it’s Vegan friendly consumers! 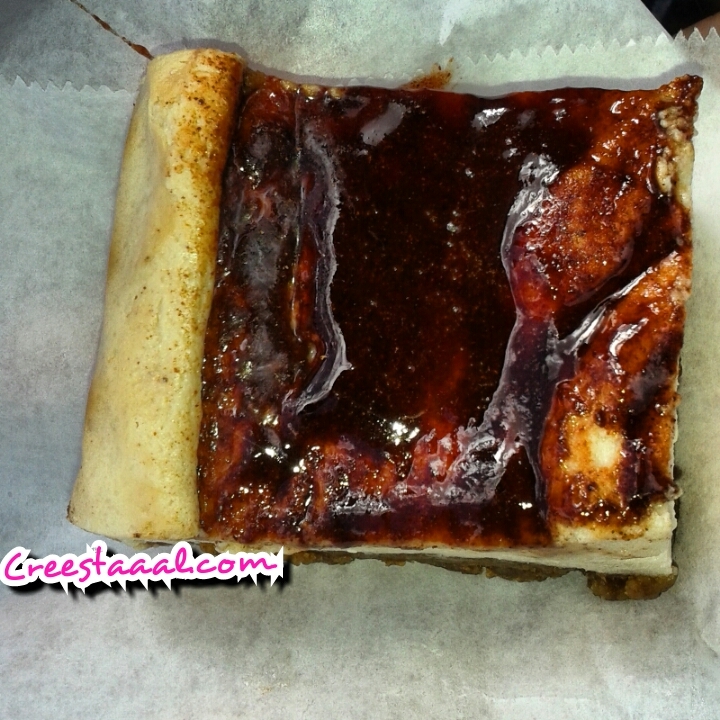 I loveeee this breakfast burrito its for on the go! You can microwave them if you are in a rush! 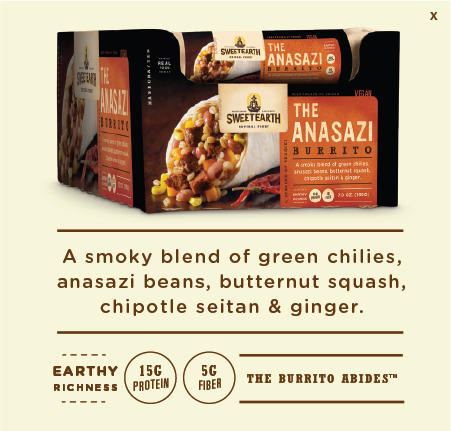 This was my first ever burrito that I had tasted from this Vegan friendly company that I meet at the Natural foods expo in Anaheim. This vegan friendly burrito is sooo good! I basically got this burrito for free! 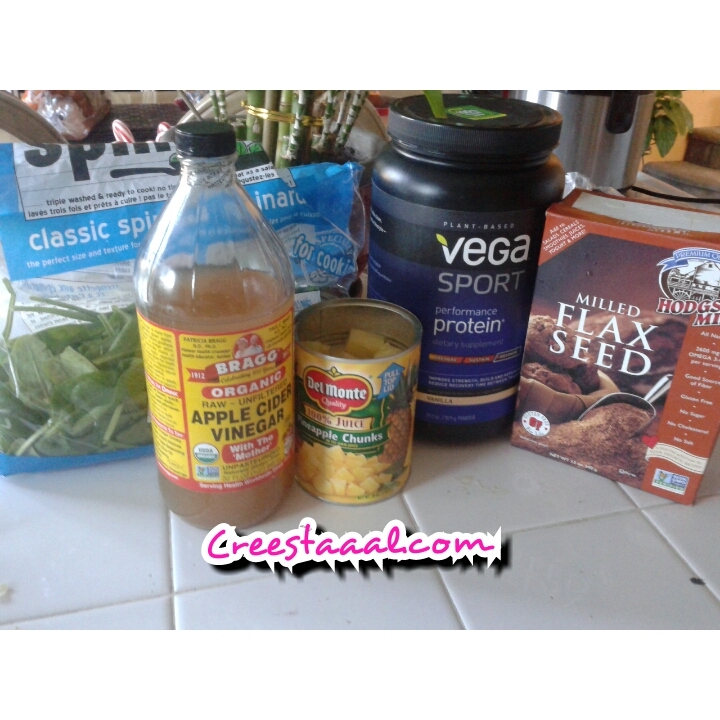 When Sweet Earth Foods sent me coupons to buy their products at my local Target! How awesome is that?!. Omfg! Seriously dude’s and Dudet’s! I love all the Vegan friendly burrito options that Sweet Earth Foods has for their vegan customers! I was sooo happy that Sweet Earth Foods took the time to send me coupons to continue to support their company at my local Super Target!. 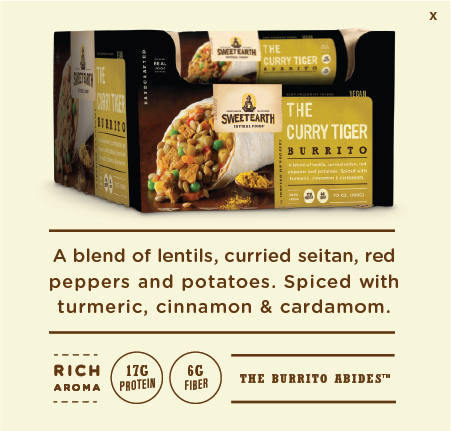 This burrito in particular tasted like authentic Indian food! No con’s to any of these burritos! 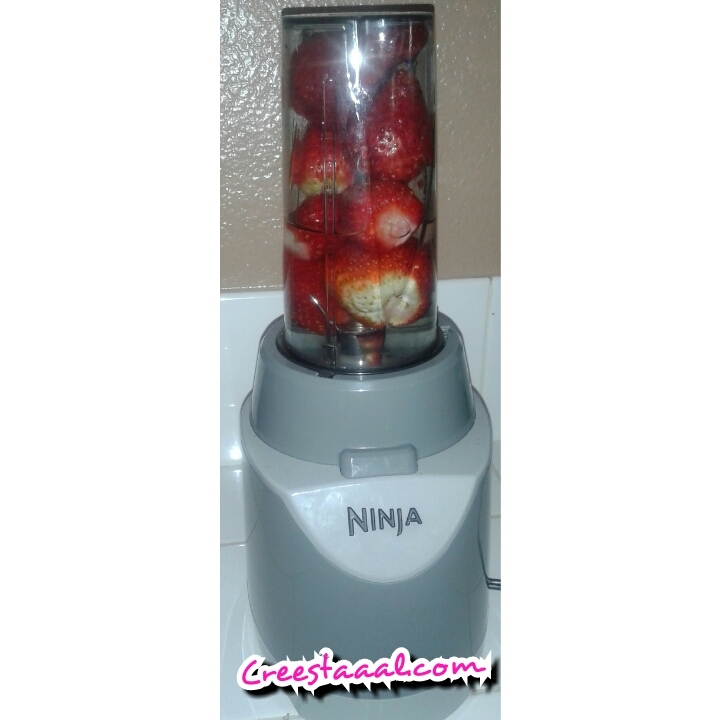 Blended with a food processor. I juice two times a day everyday. * Pan/s pot/s: Low heat pour grape seed oil. * Place Onion/s on separate pan. Pongan la cebolla en differente hoya. 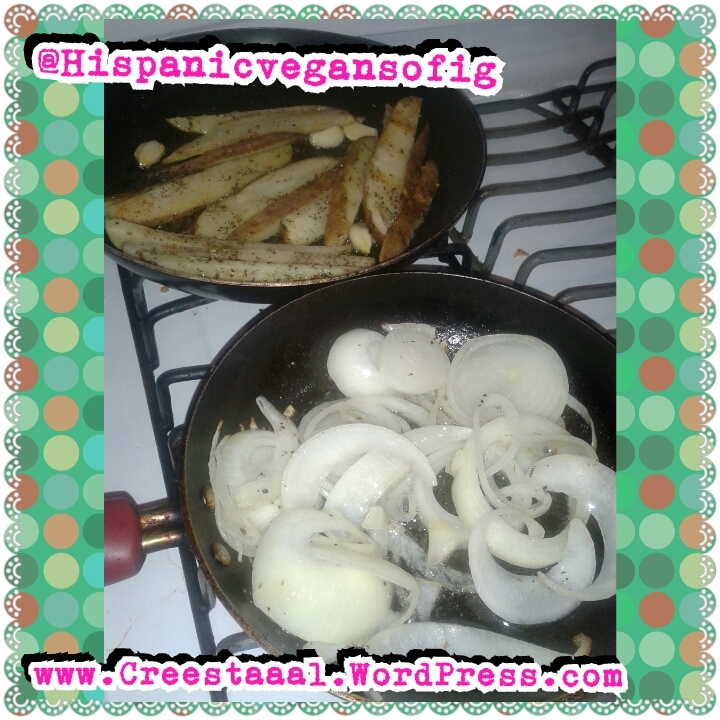 * Place potato/es on separate pan. Pongan la papa en diferentes hoyas. Pongan todos los condimentos en las papas. Comon sense check on your potato/es frequently so they don’t burn!!!! Turn them over. * Remember the sliced tomato/s? * Put them to cook in the same pot with the onion/s after about 30 mins in medium heat. 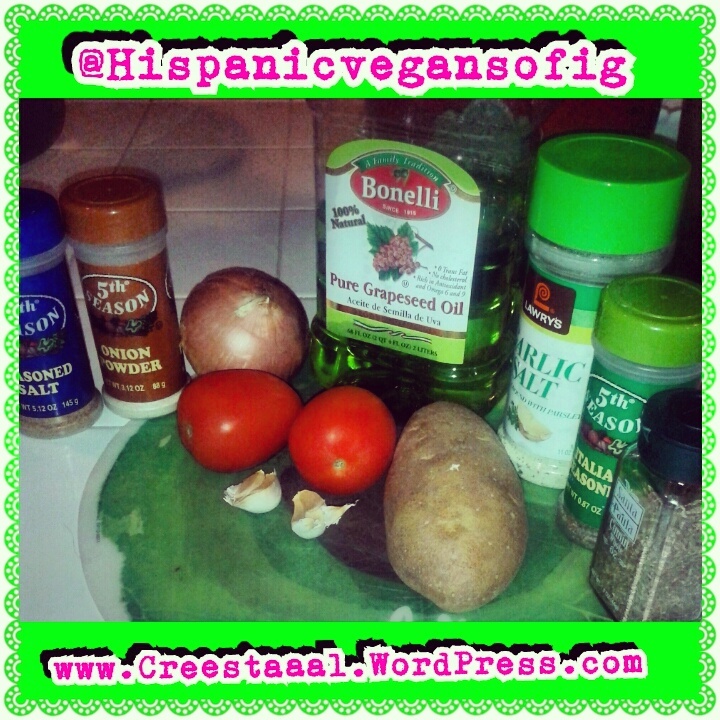 Pongan el jitomate para que se cocine con la cebolla después de 30 mins. Cocine el jitomate y la cebolla en lumbre mediana. *Make sure your flipping those potato/s. Acuérdate de mover las papas. * Take out potato/s when done. Make sure to use a napkin to place at the top of the plate. Pongan una servilleta arriba del plato y pongan sus papas arriba de la servilleta. Enjoy your little Vegan easy meal! Add whatever you want! Like ketchup, bbq sauce ect. Provecho! 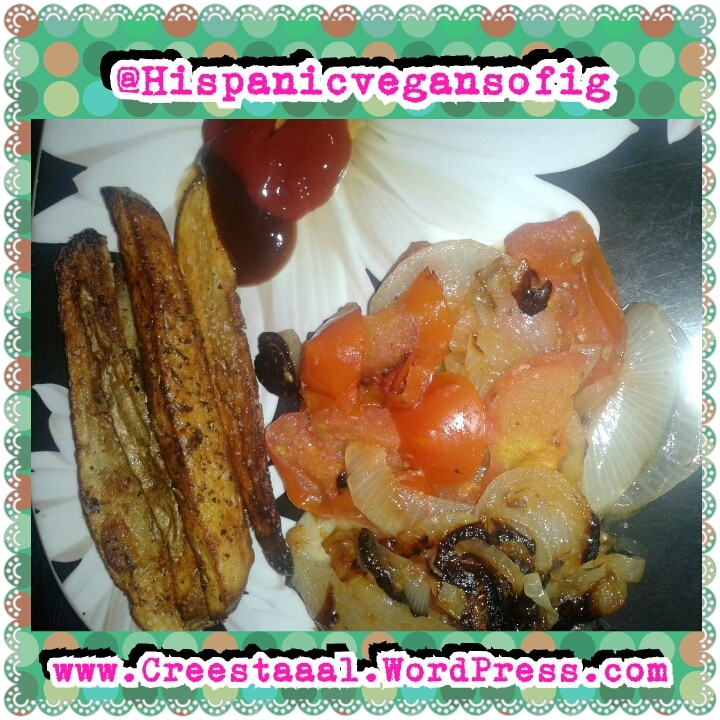 Con su Platillo Vegano chiquito!!¡! 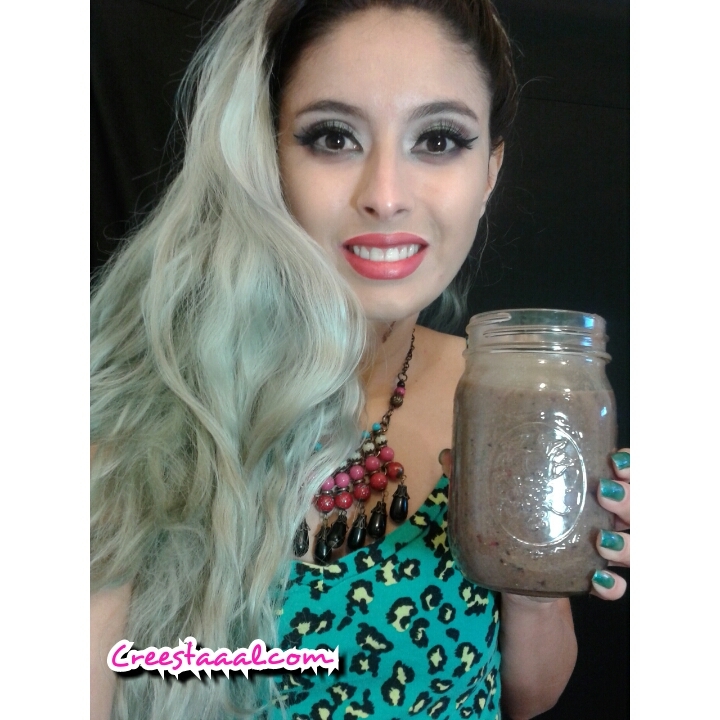 Creestaaal Sanchez is an inspirational second generation Latina resident of Moreno Valley, California. She decided to go vegan almost 7 years ago and she has never looked back. 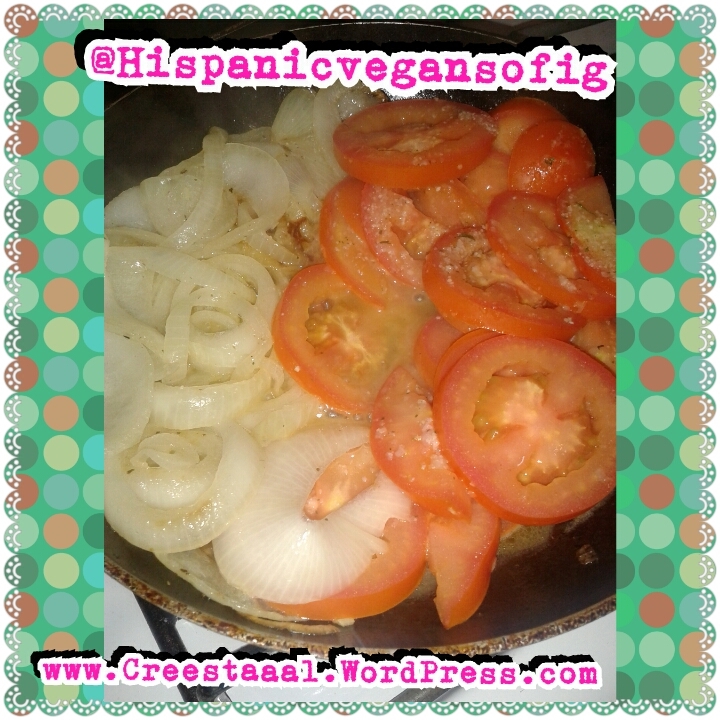 It was difficult for her to transition to veganism because of her family’s disapproval of her decision, until today they don’t approve that she doesn’t eat “meat.” Latino food is laden with meat and animal products. I know so because I am Latina too. I also know that family plays a huge role in our culture. 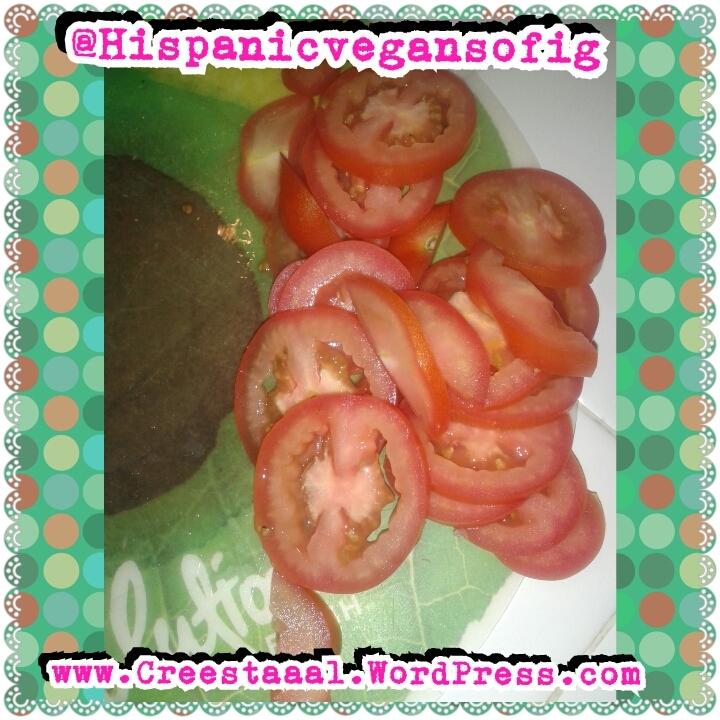 It’s hard when your family doesn’t want to listen to your reasons and instead judges and makes fun of you because you don’t want to eat animals anymore.I think that Creestaaal’s resilience and her own experience with her family inspired her to launch Hispanic Vegans of Instagram(@hispanicvegansofig). 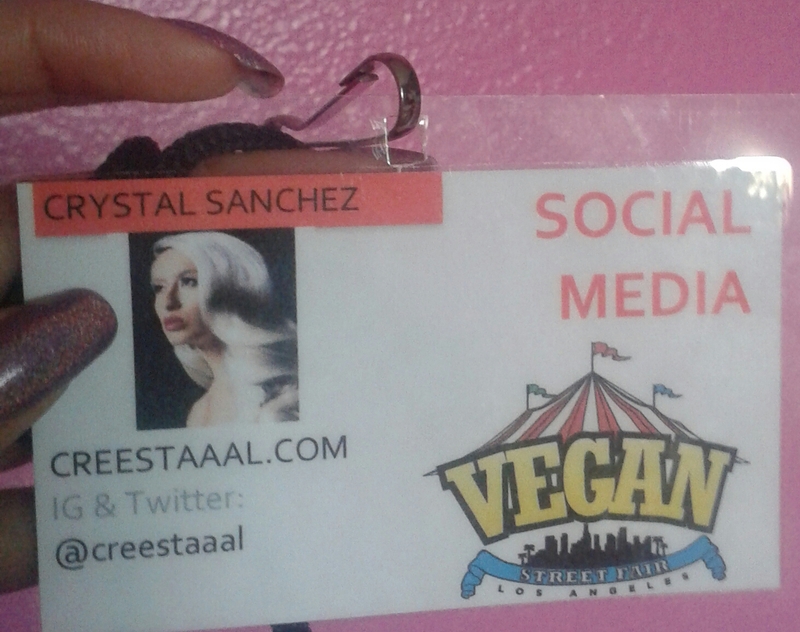 She created a space where she promotes cruelty-free Latino recipes to prove that it’s possible for Latinos to eat our traditional foods without harming animals.Besides her endless work to help more animals by raising awareness about veganism within the Latino community, Creestaaal has rescued countless animals, her most recent rescued is a hen named Blondie. I know her calling in animal rescue work has caused some financial hardships, but her passion towards the animals is stronger than a vet bill. When I am down due to all the injustices that take place in this planet, I think about Creestaaal and the work she does. 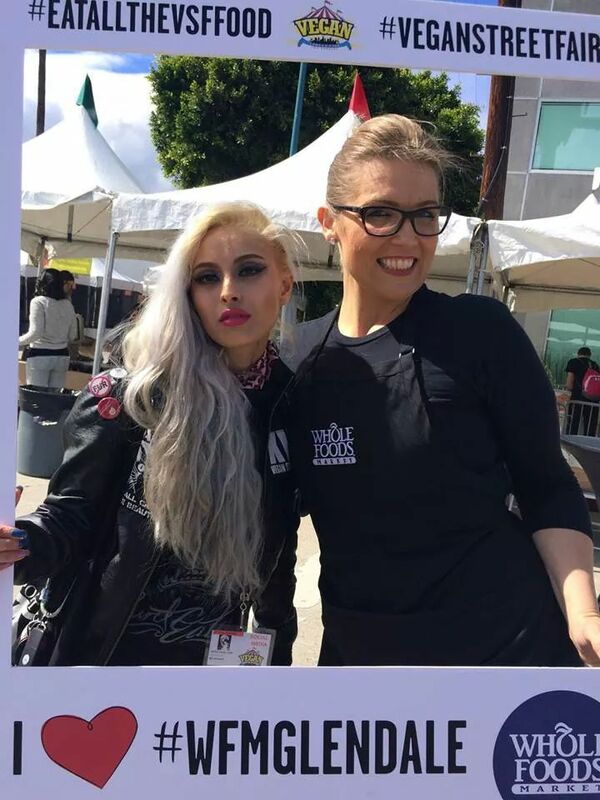 Her passion energizes me, her ability to take care of seven dogs, being a regular at animal rights protests in Southern California and more are my spark to keep fighting for the animals, and social justice.Note: Creestaaal is a published model and also runs a vegan makeup sharing instagram ( @VeganmakeupShare ), a vegan gardening instagram,( @TheVegangardener ) and she has a facebook fan page. When I first got contacted through Facebook and Instagram I was ( Still) in shock that I was Nominated!!! Thank you to the anonymous Earthlings who nominated me! ❤ . 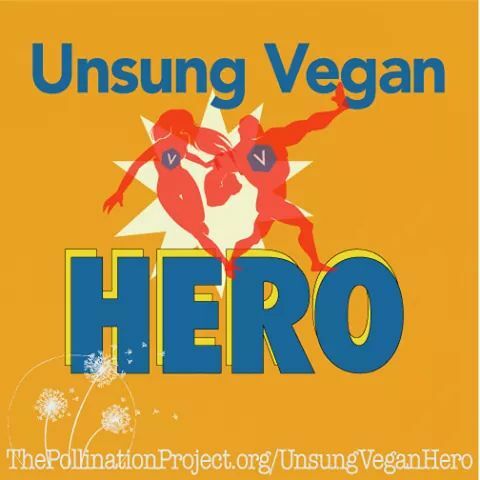 Thank you The Pollination Project & Our Hen House for awarding me with The Unsung Vegan Heroes Awards!!! I humbly take this award and will put it to use into my credit card Vet Bills! Which continue to rise because my APR% is really high up& I continue to find animals in need, along with my 7 fur babies vet care.My charity donation selection was very hard to pick! I choose Chews Life Dog Rescue because they are in big need of fund's for taking in 3 mommy's and their litters!. Thank you sooo sooo much from the bottom of my heart for choosing me out of all the nominees. 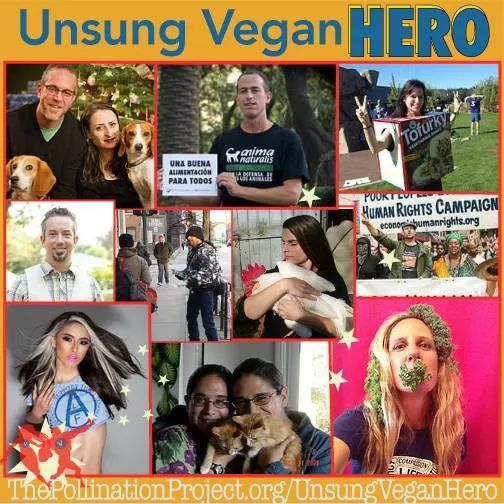 Congratulations to all the Unsung Vegan heroes!!! Always remember that you don't have to wear a cape to Save lifes!